Maintains website; sends out program, workshop, Discovery Group e-blasts; produces chapter e-newsletter; writes and disseminates press releases and photos; creates and periodically updates rack card with upcoming programs; maintains Facebook page. Plans and organizes chapter programs/workshops for the year – selects and retains speakers, provides information to Communications Committee for marketing; arranges location; greets speakers and assists with any speaker needs; recruits hosts for Discovery Groups for three counties; coordinates dates and times for webinars. Works with Chapter Board to establish definition of diversity. Serves as a sub-committee to Membership Committee. Currently working to expand geographic diversity; gender diversity; and years in profession. 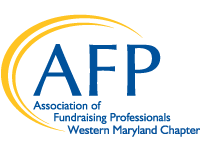 Keeps abreast of relevant legislative news for fundraising and philanthropy. Informs members of the chapter. Recruits, welcomes, and retains members. Plans and executes chapter’s NPD recognition luncheon including securing sponsors; coordinating venue, program, invitations, photographer, emcee, and recognition for outstanding philanthropy volunteers.